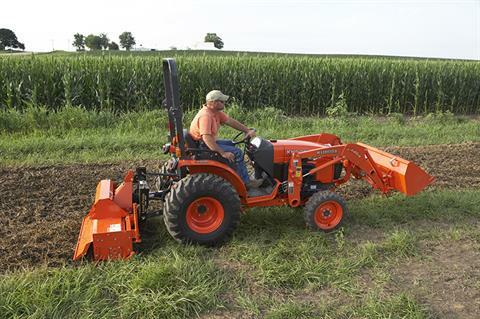 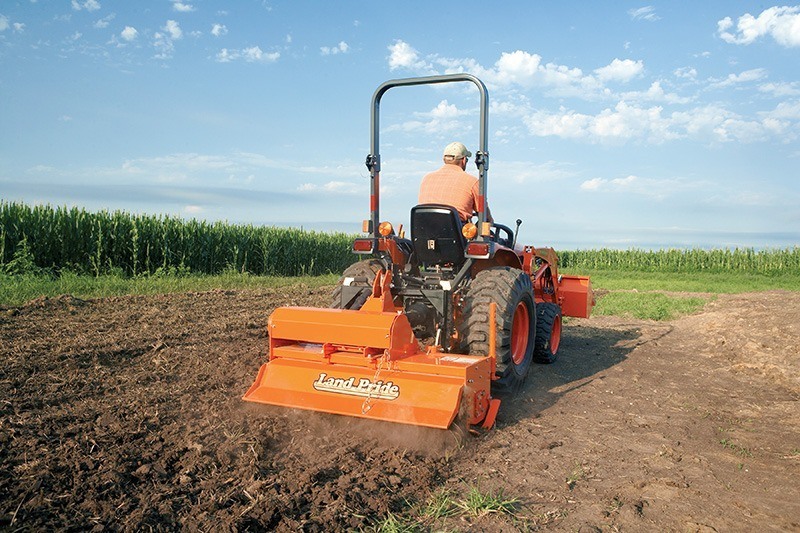 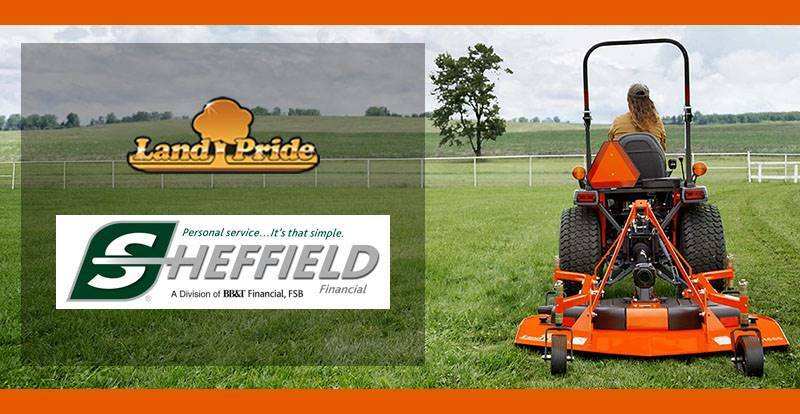 Land Pride's RTA15 Series forward rotation Rotary Tillers are great for seedbed or garden plot soil preparation and are available in widths from 58 to 74 inches. 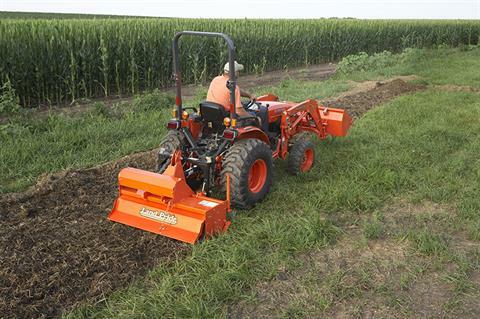 RTA15 Tillers have uses in landscaping, nurseries, gardens, and light commercial applications. Sideshift capabilities with through-gearbox shaft keeps the driveline running straight and the formed and reinforced rear deflector leaves a nice smooth finish. Operators can control tilling depth with various skid shoe settings to achieve the results desired.